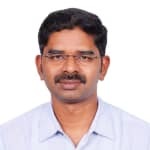 Dr. Jayaraj is an experienced Urologist in Pallikaranai, Chennai. He has been a practicing Urologist for 16 years. He has completed MBBS Bachelor of Medicine and Bachelor of Surgery, MS - General Surgery, DNB - General SUrgery, Mch - Urology, DNB - Urology . He is currently practising at Dr.Kamakshi Memorial Hospital in Pallikaranai, Chennai. You can book an instant appointment online with Dr. Jayaraj on Lybrate.com. Lybrate.com has a number of highly qualified Urologists in India. You will find Urologists with more than 29 years of experience on Lybrate.com. Find the best Urologists online in Chennai. View the profile of medical specialists and their reviews from other patients to make an informed decision. Dr. Jayaraj provides answers that are very helpful. Thank you sir, Suggested medicine working fine for me.